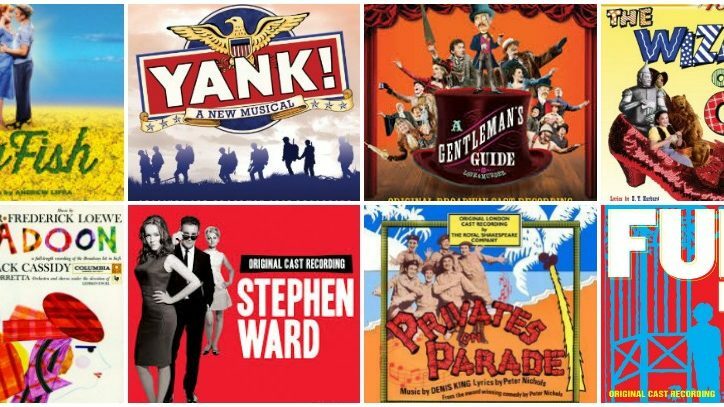 Record companies in both the U.S. and the U.K. seem to have had a busy winter, because this spring there’s a bounty of musical theater–related recordings to talk about. 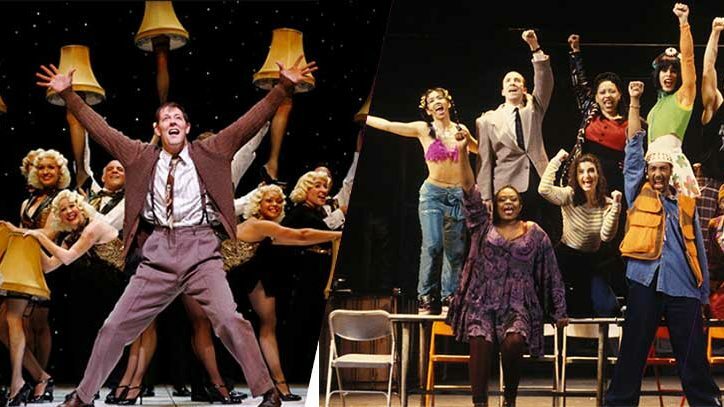 Let’s start with the cast albums for two Broadway shows that opened last fall. From Ghostlight Records, we’ve gotten the absolutely beguiling original cast recording of A Gentleman’s Guide to Love and Murder. For this giddy tale about a man who murders his way to a family fortune, composer Steven Lutvak has turned out a sprightly nostalgic score, and he, along with Robert L. Freedman, have outfitted the melodies with some terribly amusing lyrics. Bryce Pinkham (from Broadway’s Ghost) plays the murderer and Tony Award winner Jefferson Mays (I Am My Own Wife) plays all eight of his victims. They’re both in fine form vocally, as are Jane Carr and Lisa O’Hare, the hero/villain’s love interests. Chances are this will receive repeated plays after it has been added to your collection. Also among the newest releases is Broadway Records’ Big Fish. Showcasing a score from Andrew Lippa that’s bold, brash, and appropriately twangy for this tale about an Alabama man’s fantasy life and his troubled relationship with his son, the album splendidly preserves the appealing performances of the show’s stars, Tony winner Norbert Leo Butz (Dirty Rotten Scoundrels) and Tony nominees Bobby Steggert (Ragtime) and Kate Baldwin (Finian’s Rainbow). 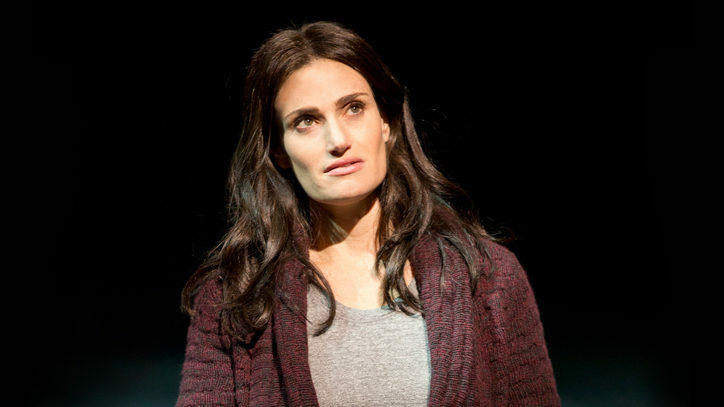 There’s a third cast album of a show that debuted last fall. It’s PS Classics’ Fun Home, which played downtown at the legendary Public Theater (incidentally, the same theater where A Chorus Line premiered). With a richly varied score by Jeanine Tesori, whose work includes musicals ranging from Shrek to Caroline, or Change, and some cunning lyrics by Lisa Kron, this musical about a woman’s memories of coming out in the 1970s and her dad’s struggles with his own sexuality blew me away in the theatre. And the recording not only reminded me of its emotional power, but brought its funnier aspects to the fore. It also features some exceptional performances by Tony winner Michael Cerveris (Sweeney Todd) and three-time Tony nominee Judy Kuhn (Chess, Les Misérables on Broadway) as the woman’s folks, and by Beth Malone and Alexandra Socha as the grade-school and college-age incarnations of the central character. PS Classics has also just released a studio cast recording of Yank!, a sweet, retro-sounding show from David Zellnick and Joseph Zellnick that was seen Off-Broadway a few years back. There had been talk that this one, about what it was like to be gay in the service during World War II, might make it to Broadway. You’ll understand why as you listen to the combination of the lush music and the terrific company featuring the in-demand Steggert, as the young man discovering himself, and Nancy Andrews, in a variety of roles. It remains to be seen whether Stephen Ward, the newest musical from Andrew Lloyd Webber, will come to Broadway, but if you want to sample what this one sounds like, the London cast recording is now available in the U.S. from Decca. Musically this is one of Llloyd Webber’s most intimate musicals, calling to mind shows like Aspects of Love and By Jeeves. Be assured, though, that it also surges with the sort of passion that’s heard in his record-breaking The Phantom of the Opera. What makes this one so much fun is that the show’s subject — a British scandal from the 1960s — gives the composer a chance to write some nifty pastiches of that period’s rock and pop songs. It’s an intriguing and often very satisfying listen. If you’d like to get a sense of other British musical theater writers, you can turn to a trio of new albums from SimG Records, which has proven itself to be an invaluable resource for emerging writers on both sides of the Atlantic. The company has just released a trio of new titles, including Ushers: The Front of House Musical by Yiannis Koutsakos and James Oban. It’s a witty and generously tuneful glimpse into the aspirations, loves, and foibles of the folks who take you to your seats at the theatre, and well worth a listen. Equally appealing is The A-Z of Mrs. P., based on the writings of Phyllis Pearsall, the real-life woman who created the A-Z Street Guides for London. Pearsall’s tale is a fantastic one, and composer-lyricist Gwyneth Herbert has written a score that somehow manages to simultaneously capture the sound and energy of London and a delicate English garden. You’ll want to make note not only of Isy Suttie’s charming vocals as Pearsall, but also of the work of Tony Award winner Frances Ruffelle (the original Eponine in Les Misérables), who plays Pearsall’s mom. The third new SimG release is The Bakewell Bakeoff, a delicious (sorry) little tuner about a competition between a decidedly kooky group of bakers. If you have a taste for something slightly older, check out Masterwork Broadway’s digital releases of a pair of television soundtrack recordings of two classic musicals: Cole Porter’s Kiss Me, Kate and Lerner and Loewe’s Brigadoon. Headlining both is the smooth-throated Broadway vet Robert Goulet (Camelot), and he’s in grand form in both, as are Carol Lawrence (West Side Story), who plays his leading lady in the Porter musical, and Sally Ann Howes (Truly Scrumptious in the film Chitty Chitty Bang Bang), who delivers beautifully in Brigadoon. It is a welcome treat to have these two lovely-sounding rarities enter the digital age. You’ll find more forgotten gems on The Wizard of Oz (The 75th Anniversary Anthology) from Sepia Records. This thoughtfully curated, generously annotated album offers up versions of all of your favorites — “Over the Rainbow,” “If I Only Had a Brain,” and “Ding Dong the Witch Is Dead,” — just not from the soundtrack, but from other neglected recordings. Beyond the familiar, there’s a lot of material that you might not remember, or perhaps never heard, like “The Jitterbug” (which was cut from the film). There’s also a swell mini-documentary about the making of the film that was produced for a 1939 NBC radio broadcast. I imagine this one will have Oz aficionados — and even those with only a passing interest in the film — smiling from ear to ear. In a similar vein are a pair of releases of neglected British shows, from Stage Door Records. The first is Alan Price and Trevor Peacock’s musical take on the Andy Capp cartoons, which had a brief West End run in the early 1980s and had film star Tom Courtenay in the title role. This one, despite its relatively recent vintage, has an old-fashioned music-hall sound to it, but from time to time it takes on a decidedly more modern edge. Not a lot of people have had a chance to hear this one, and it’s worth seeking out. And finally, there’s The Broadway Baritone from David Serero, who was featured on a recording of Duke Ellington’s rarely heard Beggar’s Holiday that die-hard fans were looking for a little more than a year ago. His newest album is filled with music theater classics ranging from “The Impossible Dream” (from Man of La Mancha) to “Music of the Night” (from Phantom), which he delivers with gusto, sumptuously backed by the Prague Philharmonic Orchestra.